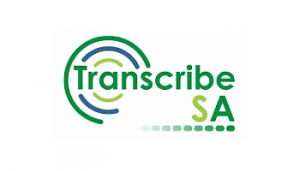 Transcribe SA is offering three R10 000 scholarships for the Medical Transcriptions Course that will equip you with the skills required for this wonderful career! The Transcribe SA course is an internationally recognized on-line medical transcription program offered through Career Step, one of the top Training Institutions in the USA. The scholarships are open to past or current candidates of a Secretarial course or similar related courses such as a Business Administration or Business Management course. The successful candidates receive R10 000 towards the Comprehensive Plus Medical Transcription Program. The balance of R12 650 will be payable by the candidate. The successful candidates may start any time before 31 March 2013 and will have 12 months to complete the course. The course is done in the comfort of your own home and 24 hour student support is provided by Career Step. The software, foot pedal, and the required reference material are provided. IS MEDICAL TRANSCRIPTION THE PROFESSION FOR YOU? Are you someone who is self-motivated and able to work on your own? Are you someone who pays attention to detail? You will need to have a reliable computer with a dedicated ADSL internet line. You must be in a position to pay the balance of the course fees (R12650.00) by no later than 31 March 2013 or any earlier commencement date. You must have a genuine interest in following Medical Transcription as a full time profession and be fully aware of what the profession entails. The scholarship will be awarded on merit performance and candidate suitability. The awarding of the scholarships is at the sole discretion of the Transcribe SA directors and their decision is final. Shortlisted candidates will be required to undergo an interview and will be required to provide certified copies of all documents requested. The closing date for applications is 30 September 2012 and the successful candidates will be announced before the end of October 2012. The successful candidates must be residents of South Africa and must have passed matric. We do not acknowledge receipt of applications, nor do we send rejection notices. There is intense competition for our scholarship awards, and incomplete or badly presented applications are likely to be rejected immediately. Our awards are intended as a contribution to tuition fees. No further funding will be provided over and above the scholarship award. We will require successful applicants to sign a Scholarship Acceptance letter, provide proof of access to funding for the balance of the fees and certified copies of all documentation. Students will be required to observe the conditions of the award. Failure to do so will result in the candidate being liable to repay the money and will not be eligible for future awards.